Get up to Speed has made a welcome return to its now well-established home at Magna Science Adventure Centre in Rotherham. This high profile, interactive event, now in its eighth year grows year on year and already has more pre-event bookings than ever before, currently standing at over 2,350, with over 50 schools and education establishments from across the region and beyond expected to attend. The event, driven by employers and delivered through The work-wise Foundation is believed to be the largest of its kind in the North. It has an impressive list of businesses exhibiting, including the likes of Rolls-Royce, McLaren Automotive, Tinsley Bridge, Polypipe and Yamazaki Mazak UK. Headline sponsors for this year are Liberty Speciality Steels, Cooper Brown Enterprises and Careers Y&H, with other event sponsors including the likes of AESSeal plc, Doncasters Bramah, the Institution of Engineering and Technology (IET), Santander and Elevation Recruitment Group. The Made in Sheffield brand is recognised around the world and the region is renowned internationally for its expertise in high-precision engineering, metals production, new technologies and the high-quality design and manufacturing of products for a wide range of global industries. In engineering alone with 186,000 new engineers required nationally per year between now and 2024 to fill the expected skills gap. Local companies understand the need to help celebrate and promote the industry not just nationally and internationally but importantly locally to ensure that there are enough talented and skilled young people entering the industry to fill the region’s growing skills needs. 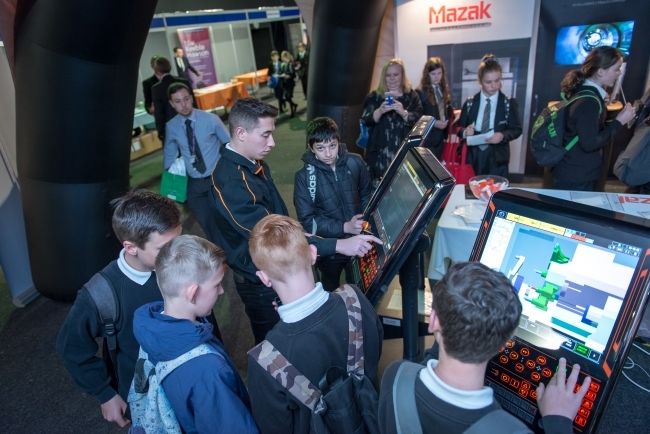 Many local companies, and increasingly national companies get involved in the event through The work-wise Foundation and attend with their apprentices and graduates to talk to young people and those who educate and influence them about the opportunities and careers open to them. Eight years on some of those early visitors are attending as apprentices and graduates and telling their own stories to inspire others. John Barber CEO of the work-wise Foundation and Chair of the GUTS Steering Group for the past eight years, added “Get up to Speed is free to visit and is designed to inspire and inform through a wide range of hands on activities, showcasing many different businesses from traditional to advanced technologies plus support and education organisations. 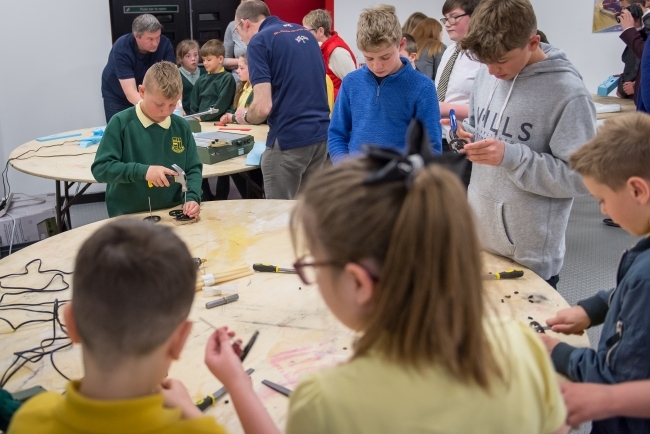 This year we are showcasing the whole breadth of what the region has to offer from traditional cutlery and tools manufacturing to aerospace to buildings and bridge construction (we even have our own Bailey Bridge for students to build) and everything in between. This is a fantastic region for STEM with some fantastic opportunities for or young people. “There will be the chance to have a go on lots of things including Virtual Reality Welding, CNC Machining, VR and Augmented Reality tools for the rail industry, Formula 1 and flight simulators to experiencing our Theatre of Engineering, designed and delivered by students from the Sheffield Engineering Leadership Academy at Sheffield University.